Many men have a very hard time differentiating between khakis and chinos and there is good reason for this. The two are not one in the same but their differences are not all that great and if you don’t know what it is you are looking for you will be lumped into the group of most men that have no clue as to what the difference is. If you are confused as to what a khaki pant is, just look at an advertisement for the Gap. Most of the guys in those ads are wearing khakis with a loose button down shirt. Although khaki is a color, it also describes the material. Khakis are made of 100 percent cotton and come in a variety of colors including khaki, navy blue, beige, black and other earthy tones. Khakis are more of a casual pant and can be seen on men all across America on casual Friday. The have the unique ability to look somewhat dressy, like for a business luncheon, but also can be worn in an ultra casual environment like when it is boy’s night out. 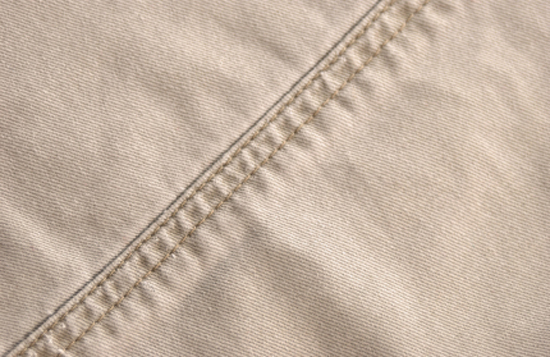 Chinos are typically made with a blend of cotton and other synthetic fibers that give it a stretchier feel. They can be spotted by the more narrow cut of the legs and the way that they tapper at the bottom. Chinos are considered dressier than jeans and khakis but can also be worn in some casual circumstances. While chinos too can be worn on a casual Friday, they can also be worn any other day of the week as they are more formal. • Shirts: When it comes to khakis, really anything goes. They can look good a button down shirt, a short sleeved collared shirt or even a nice form fitted t-shirt. In most instances, the shirts are worn untucked and the pants are almost always worn on a casual occasion. When men wear chinos they tend to wear button downs that are a bit on the dressier side. Sometimes it is appropriate to untuck the shirts, but more times than not, they will be tucked in. • Price: Perhaps the biggest difference with khakis and chinos is the price. Khakis can be found at almost any department store and usually have a price range of $20 to $30. Depending on the material of the chinos, a really nice pair could set you back as much as $200. There is of course an exception to every rule, but this rule is pretty standard. Whichever type of pants you decide to go with remember that both khakis and chinos can be worn on just about any occasion. Each style offers you a way to look great and stylish while being comfortable at the same time so which one you pick is really up to you.